A selection of prayers old and new arranged according to the Sunday themes of "The Alternative Service Book" and "The Promise of His Glory". The collects, prefaces, sentences and blessings, together with a selection of short intercessory prayers, are arranged for each Sunday and major Holy day. 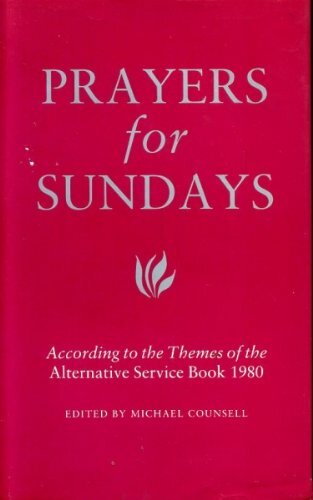 This selection of prayers old and new is arranged according to the Sunday themes of "The Alternative Service Book" and "The Promise of His Glory". The collects, prefaces, sentences and blessings, together with a selection of short intercessory prayers, are arranged for convenience on facing pages for each Sunday and major Holy day. It should prove to be an essential resource for clergy and readers, and those who lead intercessions in church, chapel, school or home. It should also be of value in private prayer both inside and outside the Church of England.